Why You Need This: We get it, the way the back end of your Honda looks is a matter of personal taste. 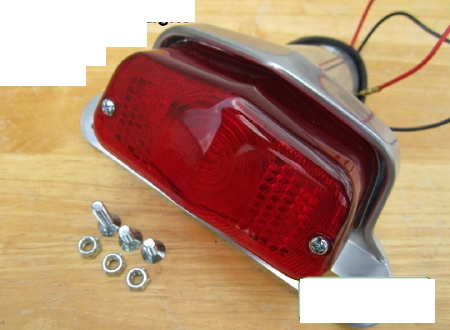 So, we will understand if you want to keep that old, crusty and huge tail light that came on your CB350, CB360, CB450, CB500 or CB550. 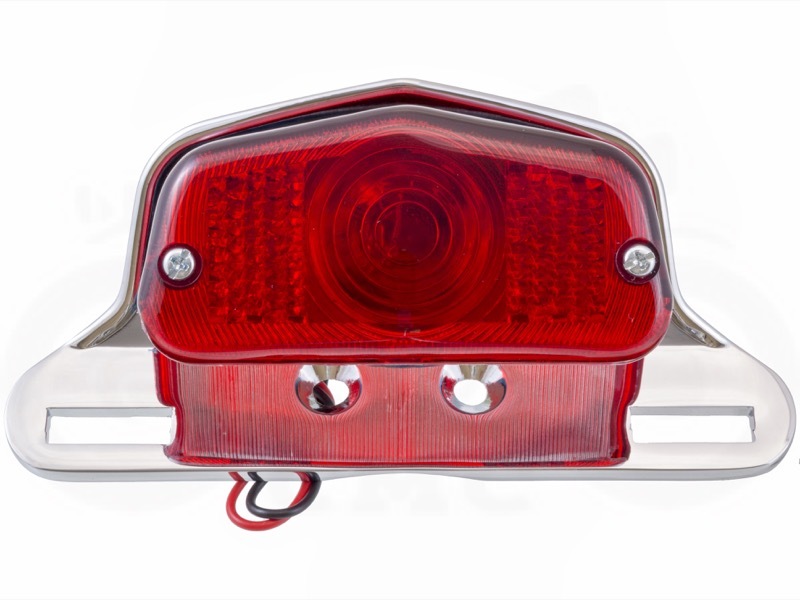 Before you decide to keep it all "stock" take a look at this cool looking universal tail light replacement. 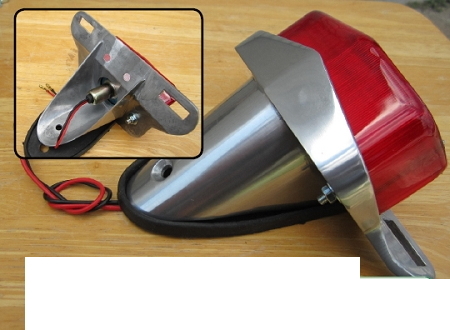 It is designed as a fender mount (screws included) and comes with a license plate bracket built into it. 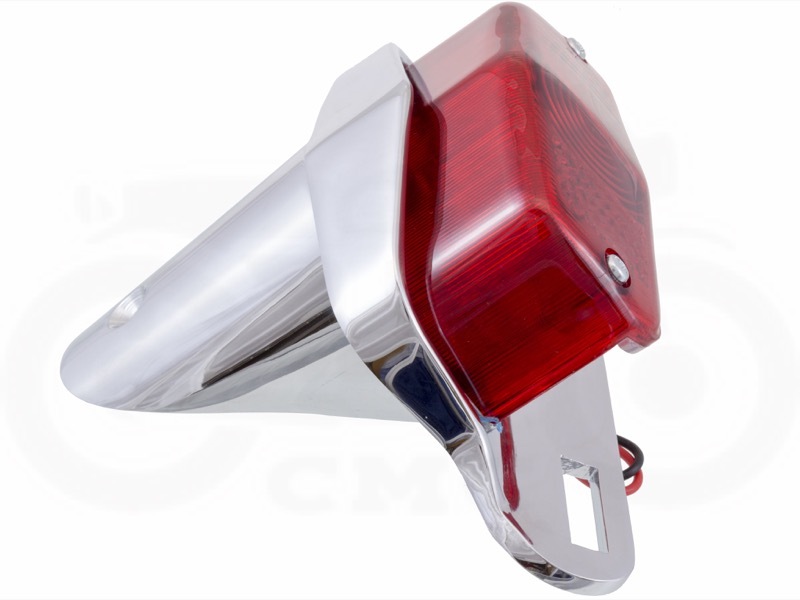 It is made of heavy cast aluminum and its size and style will keep the classic looks of your Honda without being bulbous. 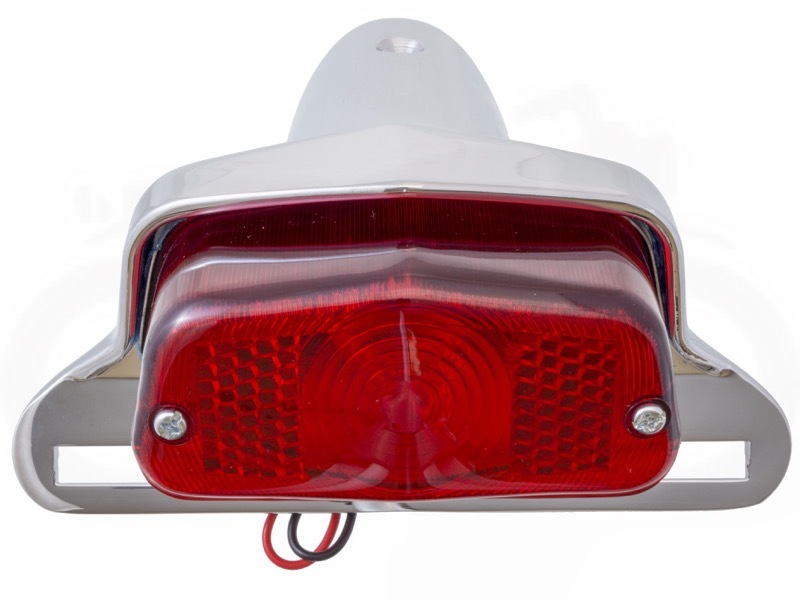 Installation Tip: The mounting points on this tail light will have to be drilled to fit on your bike so you will have to be prepared to modify the fender. The light comes with screws and connectors provided. Q: Does this product come in any other finishes? Specifically black to match the black bullet turn signals you also carry? A: We only keep the chrome in stock for now, but different finishes (including black) are available as a special order. Contact us directly and we can get one in for you. The light looks very sharp! The chrome plating is very well done. It is a universal item so there was a little bit of grinding to get it to follow the shape of the fender but, with the rubber piece that goes between the fender and light it made it a very clean install. I thought it looks like what the bike should have came with from the factory. I would recommend this to anyone who wants a clean low profile look on the back of an old bike. 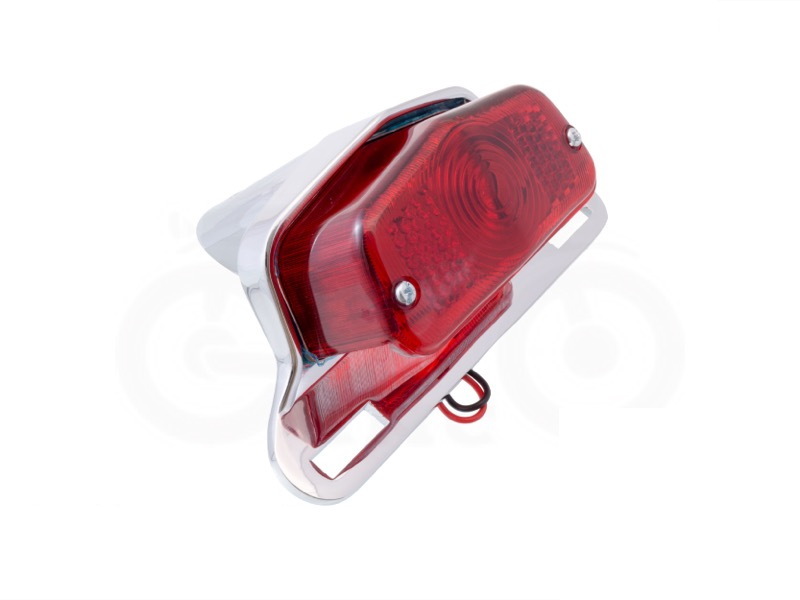 After a bit of "negotiating" with the factory holes on my rear fender, this light helped clean up the profile from that large, clunky tail light the bike came with. I will likely paint over the chrome, but installation was simple enough and the look was just what I was looking for.